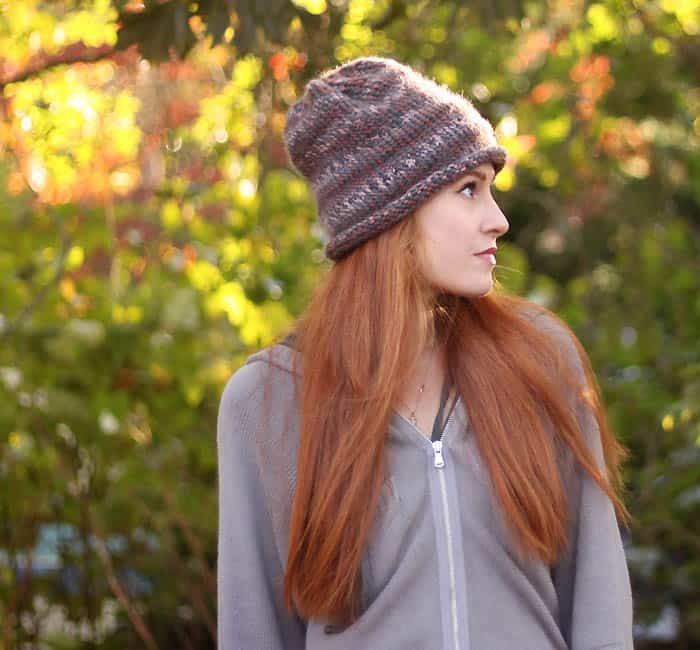 Slouch beanies are one of my faves. They’re classic, cool and comfortable. 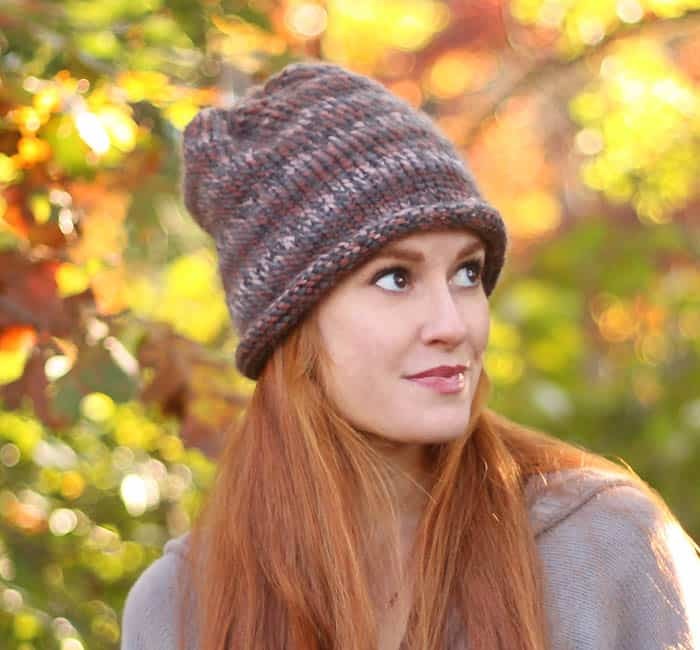 This version is knitted in Factets yarn and features a rolled brim. It’s really easy to knit since the whole hat is made in Garter stitch. I’m working on a baby and toddler version of this knitting pattern now, and I’ll post it next week! Cast on 78 sts. Work in Knit stitch until piece measures 11 inches. Knit 2together until you are left with 6 sts. Cut the yarn and thread through remaining stitches. Pull to tighten. Weave in ends.